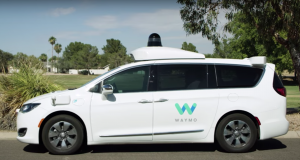 Alphabet’s Waymo is a pioneer in self-driving vehicles. But such vehicles will still need car insurance. Despite some recent setbacks, technology giants, startups and car companies are zooming ahead with development of autonomous vehicles. But if you think that means car insurance will become a thing of the past, think again. One thing is certain. Companies aren’t slowing down efforts to develop self-driving vehicles. That efforts includes startups like Voyage and tech titans like Google. There continue to be indications that the biggest fish of them all, Apple, is circling the space. That assessment contrasts with previous dire predictions for the industry. A Morgan Stanley report in 2016, entitled “Are Auto Insurers on the Road to Nowhere,” estimated the business could contract by as much as 80 percent by 2040. Despite some recent accidents, driverless cars are likely to make the roads safer. But they won’t make them entirely safe. That means there will be opportunity for car insurance companies. “The opportunity for insurance companies is to recognize this era of autonomous vehicles is coming,” Tanguy Catlin, a senior partner at McKinsey & Co., told Bloomberg. All the talk of self-driving cars, while interesting, is about something in the future. For now, cars require drivers—and car insurance. Seeman Holtz Property & Casualty can help you choose the right insurance for you. We start by analyzing your current policy and offering objective analysis and advice. We also work with multiple insurance carriers to be sure you get not only the best price, but the best coverage.